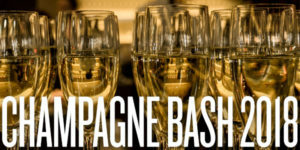 The Annual Champagne Bash will be on Saturday December 29th, 5 to 7 pm. 40 Sparkling wines and Champagnes! $45 per person!